I'm kind of on a Nutella kick right now. Who isn't? It's all over Pinterest and other fun food blogs. 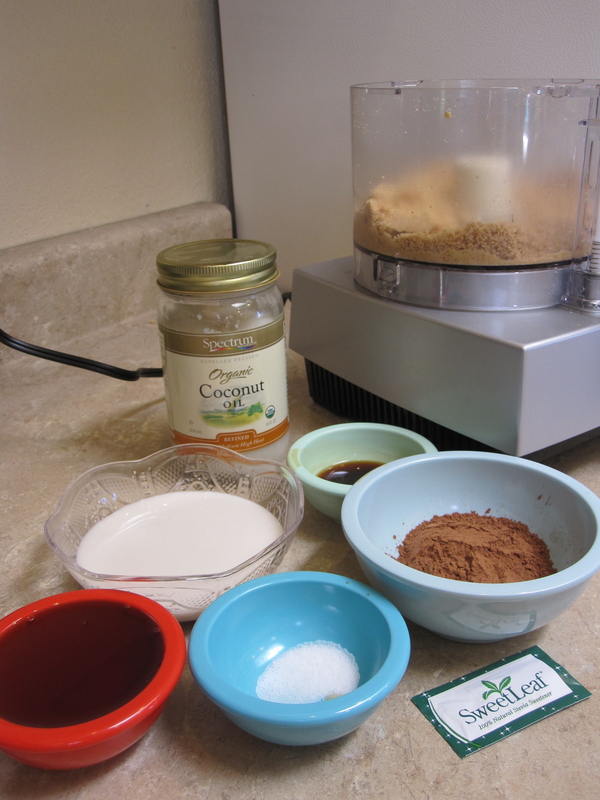 Well, I decided that Nutella has way too much sugar in it, so I wanted to make my own version of Nutella, with less sugar! So far I've eaten this homemade "nutella" with bananas, toast, apples, off of my fingers, and on graham crackers. 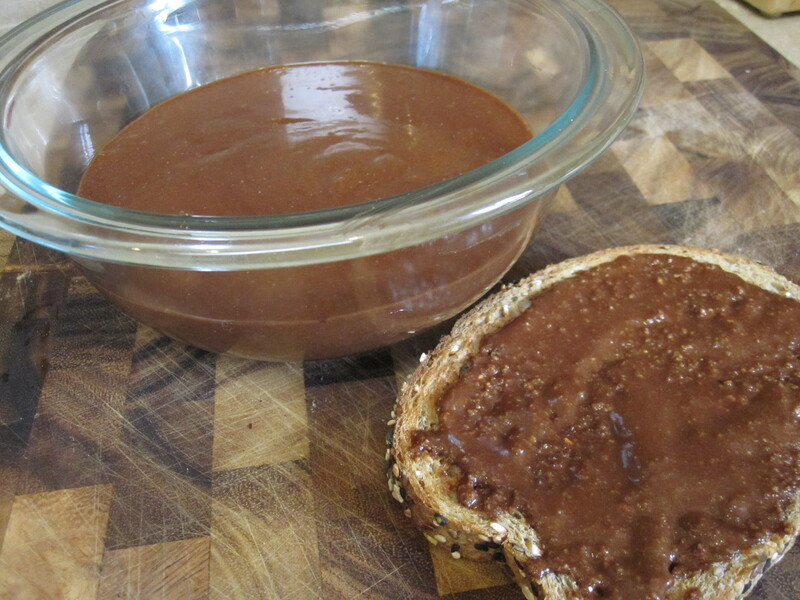 This recipe is adapted from Perry's Plate Homemade Nutella. 2. 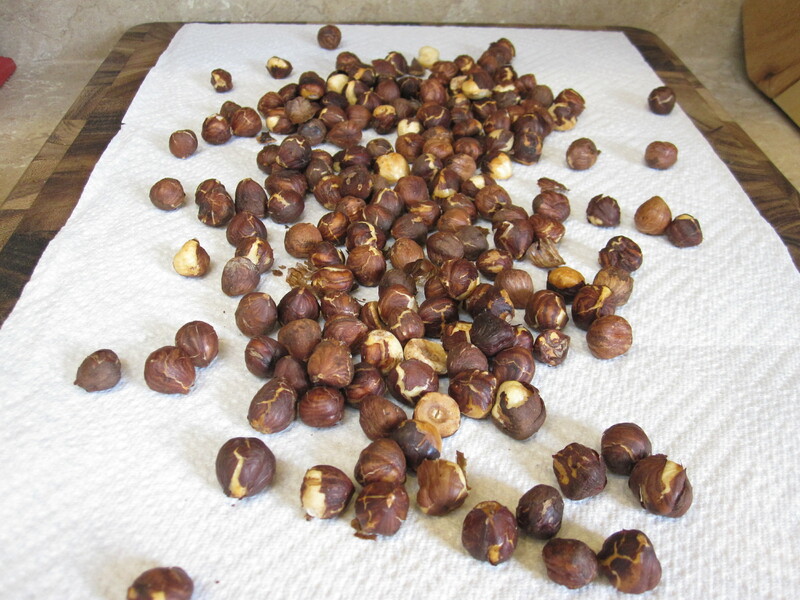 Let hazelnuts cool for a few minutes, then rub off the skins in a paper-towel, or with your fingernails. 3. 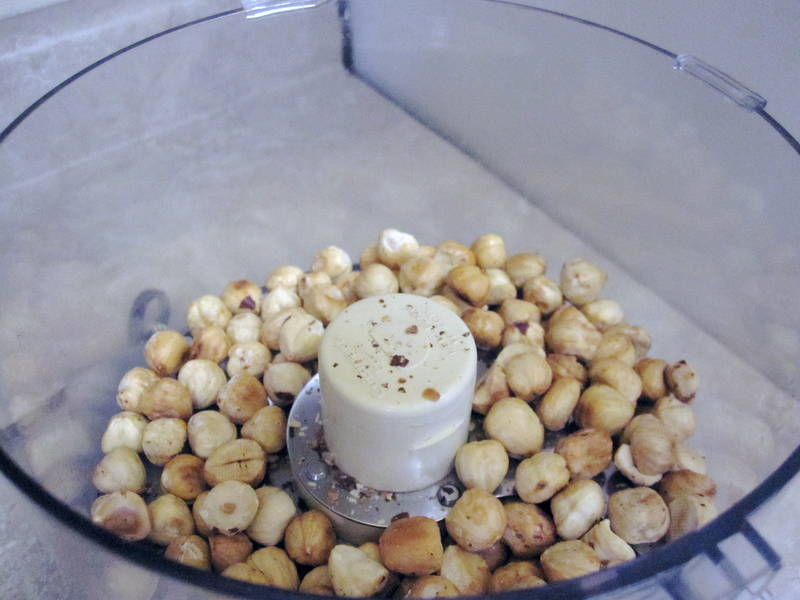 Put peeled hazelnuts into a food processor. Process until fairly smooth (it won't be as creamy as Nutella.) This took me about 2 minutes, on and off. 4. 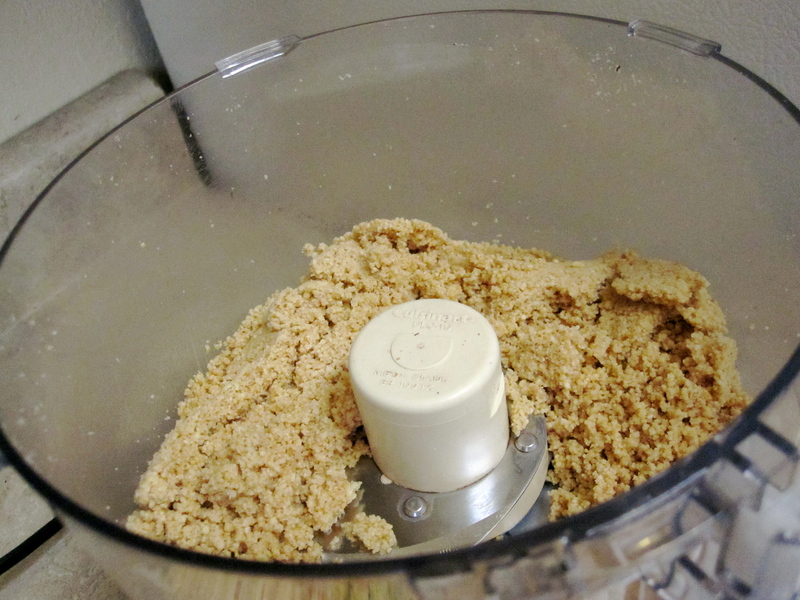 Add remaining ingredients to food processor and process until desired consistency. Oh! This looks amazing! 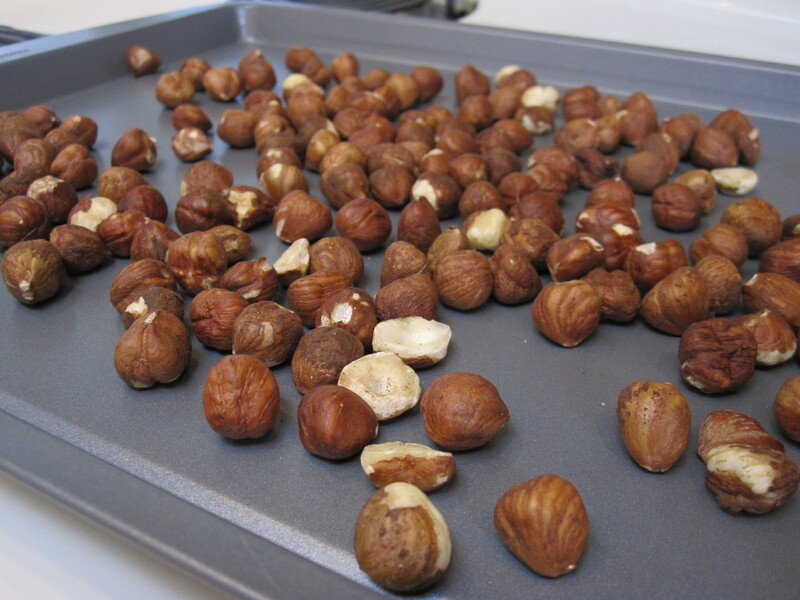 I wish I had hazelnuts this very instant. And there is absolutely nothing wrong with eating Nutella off your fingers. No sir!